Gregg Olson received a Bachelor of Architecture degree from the University of Oregon in 1975. Following a year of study in England he received a degree in Conservation Studies from the Institute of Advanced Architectural Studies in York in 1977. He has taught hands-on restoration classes and seminars and has served as an adjunct professor at the University of Oregon. 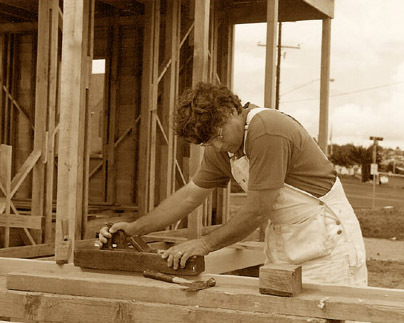 Gregg's work in historic preservation has been ongoing since 1972. What follows are some highlights of the projects, including each stucture's original date. Watch for this photo link: There are also some additional text links to related websites. -Fry House, ca. 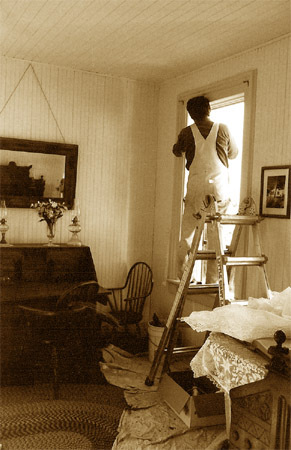 1865, Aurora, wooden gutter replacement, chimney and mantel repair, private. -Beekman House, 1875, Jacksonville, dismantling and rebuilding kitchen chimney, Southern Oregon Historical Society. -Benton County Courthouse, 1892, Corvallis, interior molding replacement, Benton County. 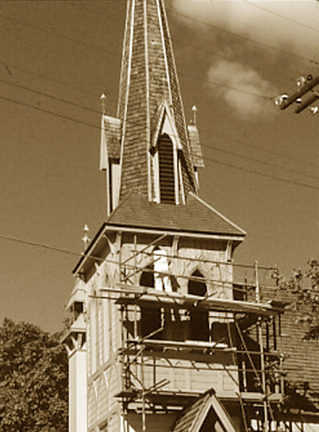 -Jackson County Courthouse, 1883, Jacksonville, exterior restoration of belvedere, Southern Oregon Historical Society. 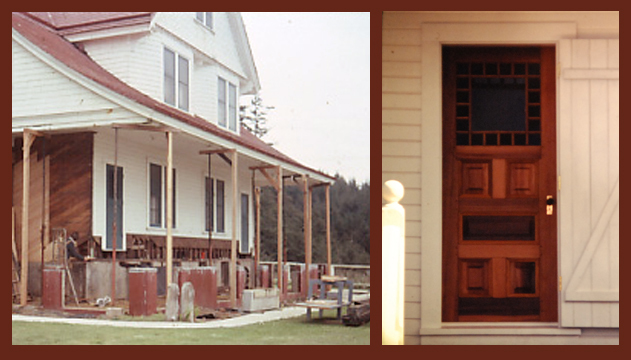 -Fanno House, 1859, Beaverton, historic joinery: reconstruction of windows, doors and spindles, Tualatin Parks and Recreation District. 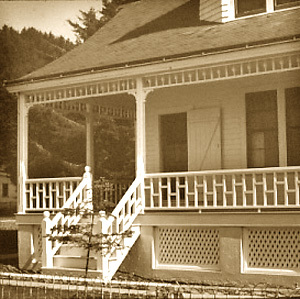 -Villard Hall, 1885, Eugene, porch restoration, restoration of northeast pavilion, University of Oregon. Astoria U.S. Customhouse reconstruction. -Keil House, ca. 1875, Aurora, complete exterior restoration of south elevation, private. -First Presbyterian Church, 1881, Jacksonville, exterior restoration, consultation, Church congregation. -Asa Cate Farm ensemble, ca. 1890, McMinnville, complete barn restoration, house exterior, foundation and sill restoration, private. -David McCully House, 1865, Salem, porch restoration, private. -Fiechter House, ca. 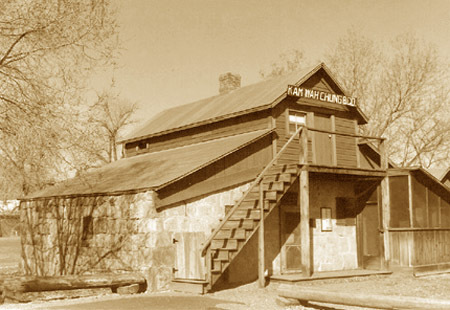 1858, Finley Wildlife Refuge, double fireplace foundation and hearth consolidation, U.S. Fish and Wildlife. -Old Yaquina Bay Lighthouse, 1871, Newport, sash restoration and reproduction, repair of stair railing, Oregon State Parks. -Manson Barn, 1862, Champoeg, new sill structure, south bent and ridgebeam, all hand-hewn, other members repaired, new siding, Oregon State Parks. 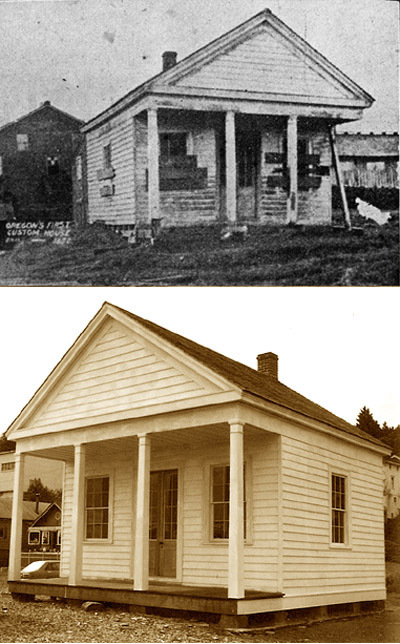 -U.S. Customhouse, Astoria, complete reconstruction of 1852 building from historic photograph, City of Astoria. -Fort Yamhill, 1855-1866, Valley Junction, study by Gregg Olson and Philip Dole to determine Fort history regarding the Officer’s Quarters. Restoration of hewn sill structure. Oregon State Parks.